Dive Gansbaai, South Africa and come face to face with sharks twice the size of grown men. 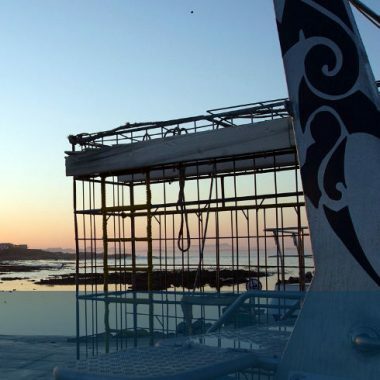 Gansbaai, located about 160km southeast of Cape Town, South Africa, offers one of the world’s finest locations for viewing the Great White Shark and other marine animals. You don’t have to be a certified diver to have an incredible adventure. It’s not unusual to see 4 meter Great Whites as they feed on the area’s large seal population. You’ll spend most of the day in the passageway between Dyer Island and Geyser Rock, known throughout the world as Shark Alley. It was around here that a 6.2 meter shark was accidentally caught in a trawling net. Experience Level Required: No prior scuba experience is necessary. Snorkel experience preferable. 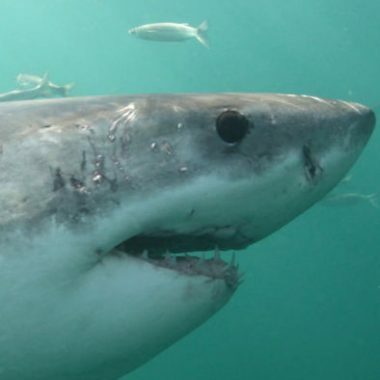 Great White Shark Season: The Peak season is April – October. There is good shark activity through the end of January. Water visibility degrades in the Summer months, averaging 2 -5m/ 6 – 15ft. February is the low month. No serious accidents recorded in 10 years of cage diving. As this is a door-to-door service provided by a certified and registered guide, personal safety is assured.